Martha Trust is a wonderful charity providing respite and day care for those with profound physical and multiple learning difficulties. Their mission is to provide not only quality care but the opportunity for their residents to achieve their full potential and enjoy a stimulating and an active a life as possible. We’ve worked continuously with Martha Trust over the years, supplying Ceiling Hoists and Assisted Baths to equip their state-of-the-art facilities. To allow the latest hydro and physiotherapies, and provide a secure and safe home for over 33 young people and adults, OpeMed has been assisting with projects at the purpose-built nursing care homes for over 8 years. OpeMed were commissioned to design and bespoke engineer solutions for the overhead hoisting in the changing and pool areas. Faced with unusual and varying ceiling heights and structures specialists solutions had to be designed. 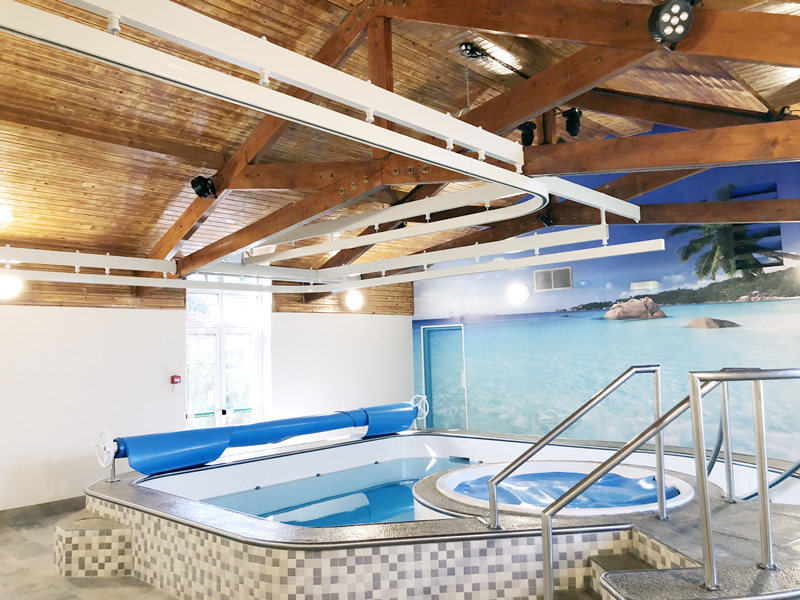 A Ceiling Hoist was required above the Hydrotherapy Pool, the path of the track originates in two separate changing rooms, with both then winding out into the open pool room and finishing above the hydro-pool to allow the residents quick access from changing area to pool and vice versa. 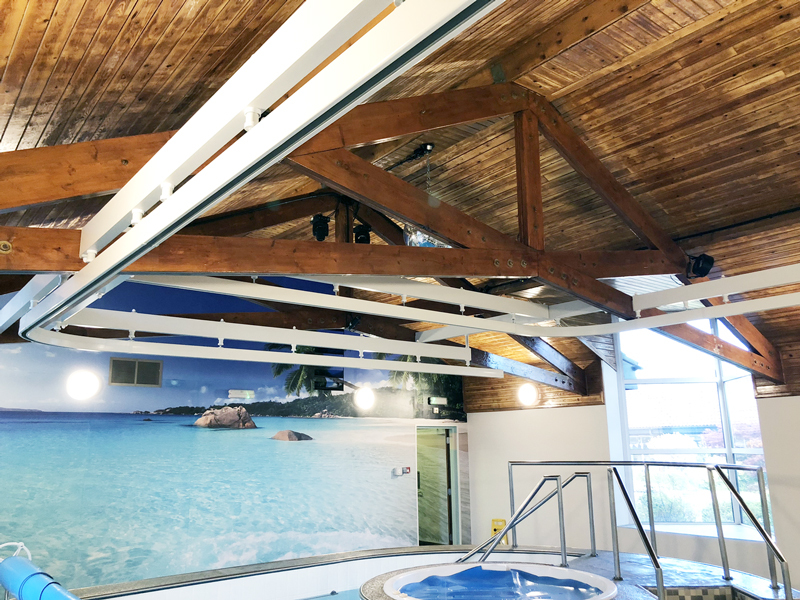 With an unusually tall and sloping ceiling, our engineers created an ingenious sub-section, mimicking joists pre-prepared with threaded rod on which to mount the tracking system and OT200 Ceiling Hoist. The bespoke frame was fabricated to suit the unique structure of the building. The hydrotherapy pool is a crucial tool for the Martha Trust team, the cornerstone of their hydrotherapies, where residents can experience the joy and freedom of movement and weightlessness. The warm water massages, stimulates circulation, relieves stress and allows families to share contact. 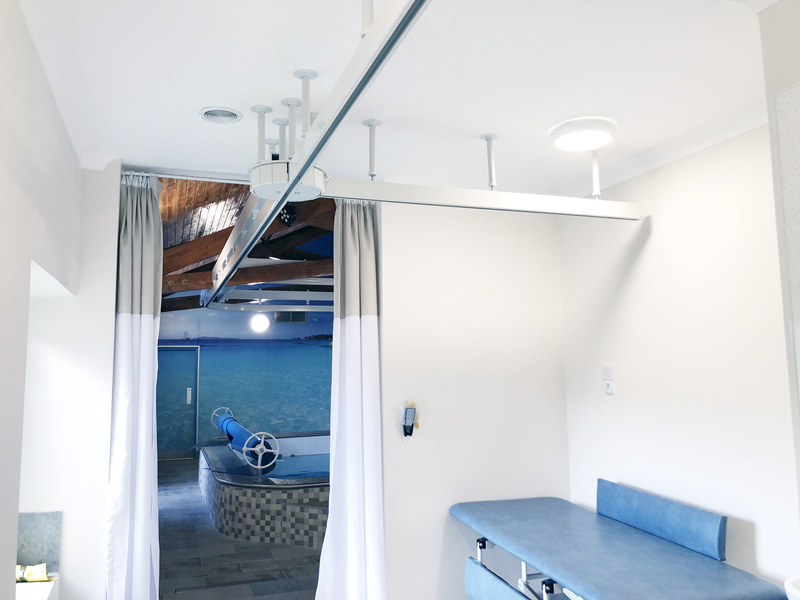 The brand new state-of-the-art OT200 Ceiling Hoist system allows for speedy and safe transfer to this important therapy and help therapists and carers remove residents from the water and to the changing area in minutes, to get them dry and keep them as comfortable as possible. If you would like to arrange a consultation with your local Product Specialists, give us a call on 01252 758 858 or send us an email for no-obligation product advice, site surveys and quotations.